On June 1, 2015 we opened a new Davenport Early Learning Center to replace our old facility that was in a basement of one of our YMCA locations, this building was built just for us! This exciting opportunity came to us through extensive community collaboration; all funds were raised prior to building the center so it is debt free. This new facility would not have been possible without the passion and determination of the United Way Women’s Leadership committee in Davenport! The center was designed with the needs of children in mind, so it has many amenities that make it a high-quality exciting place for children. 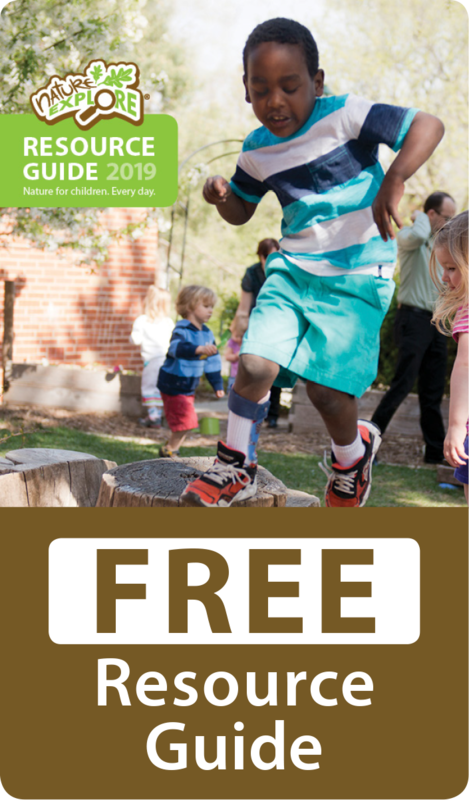 Of course, because of our affiliation with the Nature Explore program, we understand that the playground is just as important as the rest of the classrooms. One of the most exciting parts for us was designing a perfect place for children to be outside and learn. 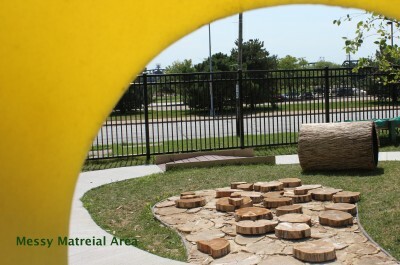 We were able to incorporate some of the materials from our existing Nature Explore Classroom at our old facility and purchased new items as well to create an exciting outdoor classroom where children can play, explore and investigate to their heart’s content. We made sure to incorporate the following areas to our classroom- Sand, Water, Art, Gardening, Climbing, Crawling, Messy Materials, Gathering, Building, Music and Movement. Each of these areas is clearly labeled by signs purchased from the Nature Explore Resource catalog. We feel that by using these signs it helps the children and staff know exactly what each area was designed for. We have placed storage throughout the classroom for additional materials to be used by the children and staff for each of these areas. We are very excited to be able to offer a garden area that is filled with child-friendly plants which allow children to use four of their five senses to explore (Look, Smell, Feel and Taste). We encourage the children to explore the garden every time we are in the classroom. We have incorporated four different types of mint, basil, chive, cilantro, and parsley. Each classroom has enjoyed bringing in items from the garden to use in a food project through the season. We have incorporated five different small trees that will eventually be big enough to be able to provide shade in almost the whole classroom. We also have flowering bushes and perennials throughout the space. We have incorporated bird feeders for our feathered friends. The fence that defines our classroom is an attractive looking black composite fence that looks like wrought iron. We have an exit on both ends of the classroom for any lawn care machines or any emergencies. When the playground was finished it was so impressive that we actually held or ribbon cutting ceremony for the entire new facility on the playground. We had many influential community members in attendance including the Women’s Leadership Committee, our local legislator, the mayor and other leaders of our community.